I am currently taking a break from offering The Mystery School. If you are interested in a future Mystery School cycle, after reading the information below, email me to explore possibilities. This is an intense personal evolution program for which there is a limit of 8 students per class. This is to insure that each student will receive the attention that their process deserves. Come – let’s dream the future! Symbols are a language older than words. 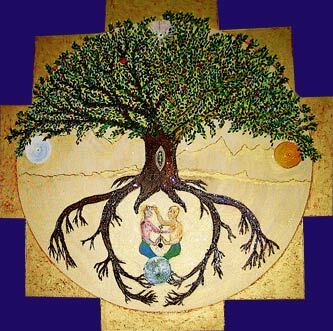 ♥ Over the centuries, the archetypal Tree of Life has been a road map in many cultures, and the Tarot symbols, the ancient signposts, for awakening to the mysteries of the Soul’s journey on the Medicine Wheel of Life. We travel together into the beauty and balance of “Right Relationship with Self, Other, and Life”. ♥ As a student of The Mystery School, an experiential exploration of these loving, sustaining vision-maps will initiate you into the mysteries of the “Sacred Play” of your own life. Similar in spirit to Mystery Schools of the past, your direct encounter with life’s archetypes enables you to gain access to a deeper wisdom and truth of your own life path. ♥ A three year journey of experiencing guided visualization, meditations, movement, mandala art, journal writing, collages, masks, self-created rituals and ceremonies, and other creative inner work support you to meet these archetypes and to move into the deeper awareness that these images evoke in your unconscious mind. Step by step you are initiated into more profound layers of your uniqueness and its knowledge. An authentic celebration of Self in the diversity and unity of all life is a natural outcome. ♥ Two basic themes of The Mystery School are “making the ordinary, extraordinary and the extraordinary, ordinary” and “It is never too late to have a happy childhood”. We recognize that space, time and personal attention is necessary to nurture the deep awakening possible within you. This is about maturing the sacred within you. For this purpose, The Mystery School takes place in 12 weeks of ‘workshop/celebrations’, over the three year period. Each class group is small, limited to 10 people. 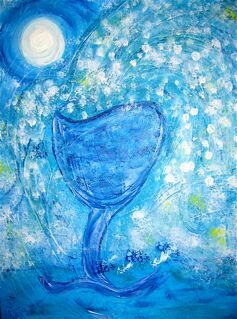 ♥ As each person’s Mystery awakens ever more profoundly, we share our stories, remembering and nurturing our Souls. Ground is given to Spirit and to the often surprising abundant resource of creative power within each one of us. We give form to a mysterious beauty carried deep in our hearts. The result is an increasing and natural generosity in your own life and toward existence as a whole. 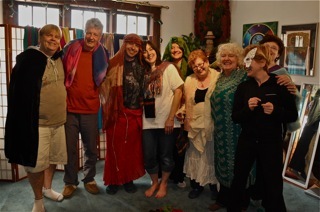 ♥ The Mystery School is offered in two 14-day workshop segments twice a year. The program is three years. Each workshop is unique and progressive. You can only enter at the beginning of the program. Commitment to the 2nd and 3rd years is made at the end of the first year. 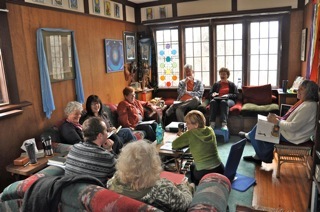 ♥ In addition, a mentoring process, available between each workshop, is part of the program. This vital feature supports you in the integration of what is experienced in each workshop into your everyday life. There is an optional training process to share what you are learning with friends in your community. “The Mystery School has started me on an incredible journey into the awakening of who I am, helping me unfold my true creativity. 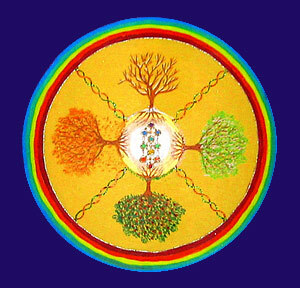 With each step on the Tree of Life I felt my consciousness expanding. My experience of my life changed as I started to perceive my every day choices in the context of a deeper calling. I am getting from the Mystery School what I had been looking for, to live according my purpose in life. This is so exciting! I am finally in full awareness and with joy, saying “Yes” to my life!” Eveline of Sointula, B.C. Imagine…Engaging your life as a powerful prayer to Love growing strong in this still dawning Millennium. Imagine…A new flowering of your own Body, Mind, Heart and Spirit. Imagine…A discovery of what the Soul longs for: Living in Love for the Great Mystery of You and Life. Imagine...Manifesting, Welcoming, Co-creating this opportunity of a lifetime. 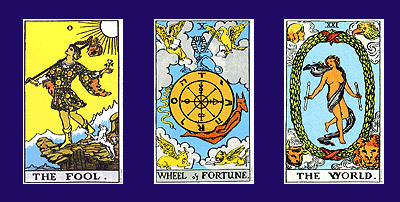 Imagine…Discovering your unique relationship to the whole range of Life’s Archetypes such as The Magician, The Fool, The Hermit, The Lovers and The Empress . Imagine…Activating the Cellular Memory in your Body and the Spiritual Potential of each energy center or Chakra as you explore The Tree of Life within you. Imagine…Awakening a deeply enriched sense of Soul and Self resulting in the Profound Creativity arising from Connection to your Life Vision and its Purpose. Imagine…Journeying in the company of “like-hearted” others at this vital historical time. Imagine…All this imagination is the opportunity of The Mystery School! The First Question: Who Am I? “I’ve got some of the strangest good news you’ve ever heard. Ready to open your mind to the odd opportunities? 1. Your wild speculations could serve you better than your educated guesses. 2. Your experimental urges might be smarter than your cautious plans. 3. Your “stumbles” may lead you to brilliant detours.